Julie Payette will be Canada’s next Governor-General, replacing David Johnston. She will start her new job on October 2. 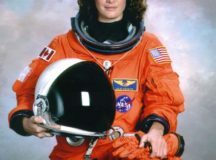 Payette, 53, is a former astronaut, who spent more than 25 days in space. 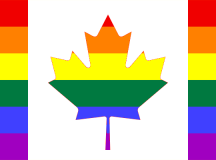 In Canada, it will soon be a law that transgender people cannot be treated differently than other people are treated. 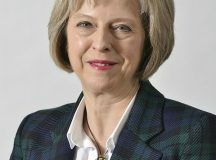 Theresa May and her political party, the Conservative Party, were the leaders in the UK (United Kingdom). They had a “majority” government. (In other words, they had more “seats”—or representatives—in the House of Commons than all of the other political parties, combined.) That’s important, because having a majority means that you can really get things done—you won’t be voted down by the other parties. May hoped that by holding an election, she could expand her majority even more. France has a new president. 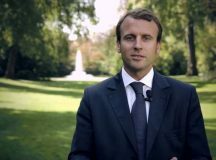 On May 7, the French people elected Emmanuel Macron. It was an important decision for France. Macron’s opponent was Marine Le Pen, a “far-right” politician. If she had won, France may have pulled out of the European Union* (EU). That would have meant big changes not only for France, but possibly the whole EU. Many people in Europe are relieved that Macron won the election. Macron is a “centrist” politician, which means he’s in the “middle” – not too far “left” or “right.”** His win means that France will stay in the European Union. Did Donald Trump’s people talk to the Russian government about things they shouldn’t have, before the election? 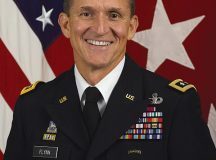 When one of Donald Trump’s advisors (National Security Advisor Michael Flynn) was asked if he had talked to the Russian government before the U.S. election, he said no. But that was a lie. 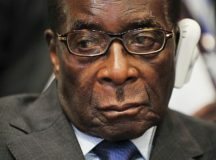 He had to resign (quit his job) because of his lie. In talking to the Russian government, Flynn may have told them some things he shouldn’t have told them. 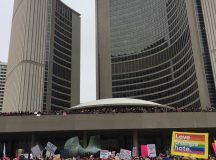 Millions of people around the world joined protest marches on January 21 to show their support for women’s rights and other causes. The marches were inspired by the Women’s March, which was held in Washington, D.C., the day after Donald Trump officially became President of the United States. The Women’s March was organized to protest Trump’s policies. Many people believe his policies are a threat to basic rights and freedoms for women and for people of minority religions and races. The United States has a new president. 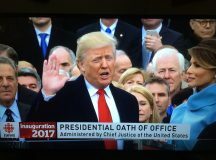 Donald Trump was “sworn in” or “inaugurated” last Friday as the country’s 45th president. That means he was officially given the job, and Barack Obama is no longer the president of the United States. He hasn’t even officially taken the job yet, but already Trump has been involved in a series of bizarre incidents unlike any other president. Trump will be “inaugurated” (officially given the job) on January 20. Normally, a presidential inauguration is a big celebration with lots of celebrities and high-profile musical acts performing. For instance, when US President Barack Obama was inaugurated in 2009, Beyoncé, Bruce Springsteen and Stevie Wonder were among the performers.